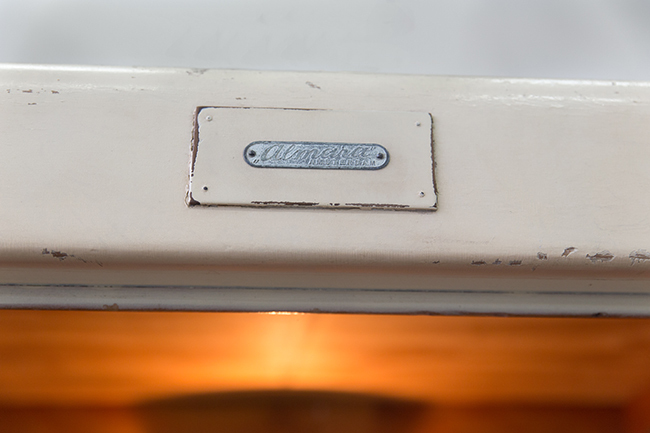 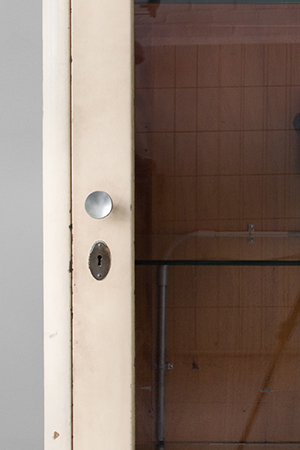 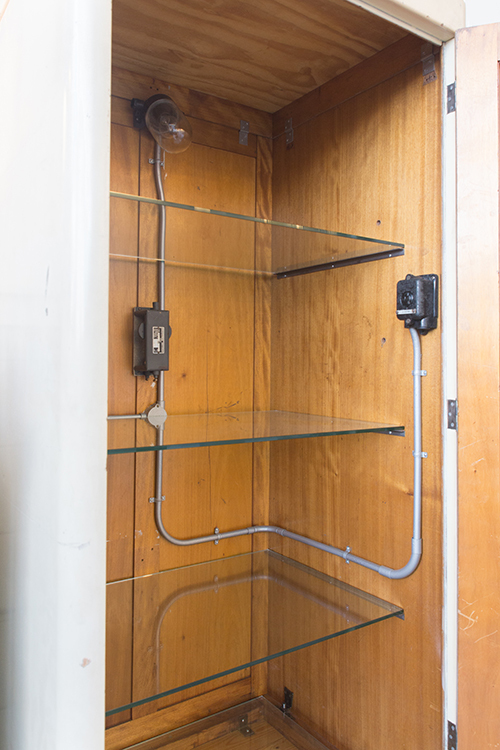 This cabinet was used to storage and display surgical instruments for the dental X-ray, the White Scorpion. 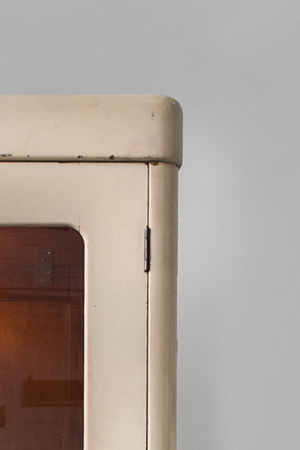 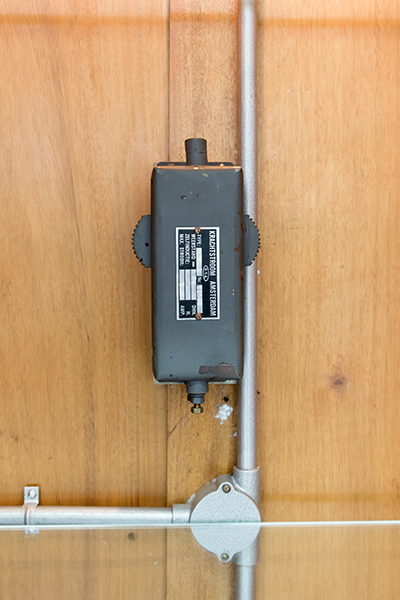 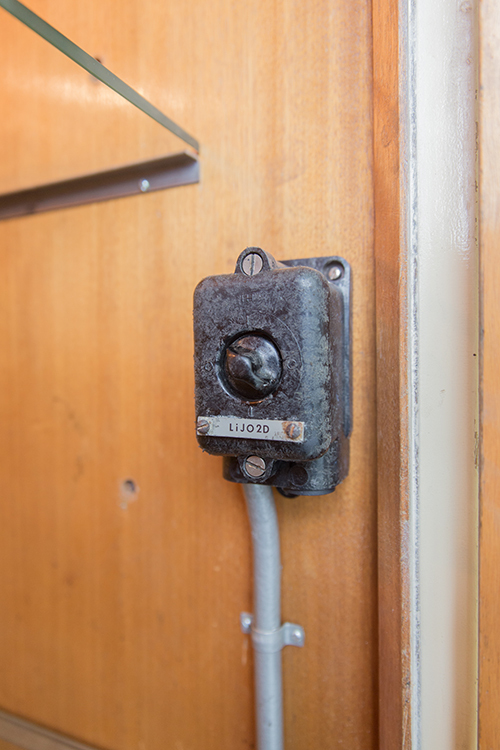 It dates back to the 1920s and was designed by Siemens Almara Amsterdam, which was based on the Rokin in Amsterdam. 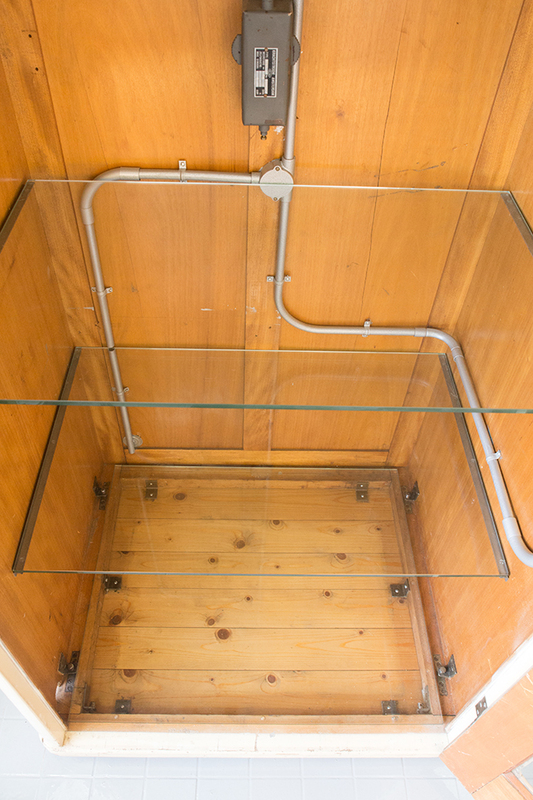 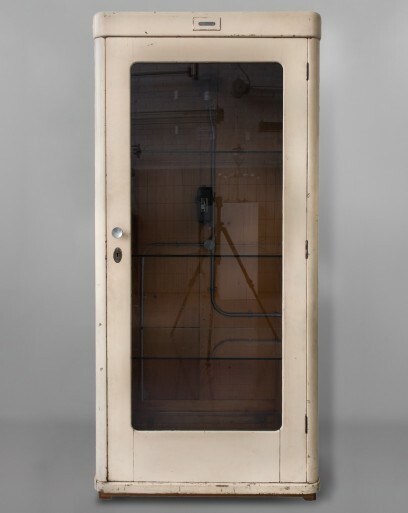 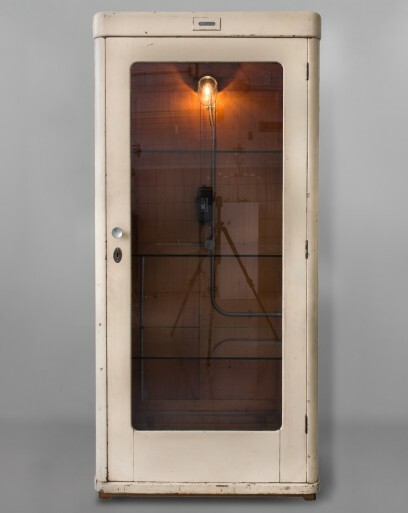 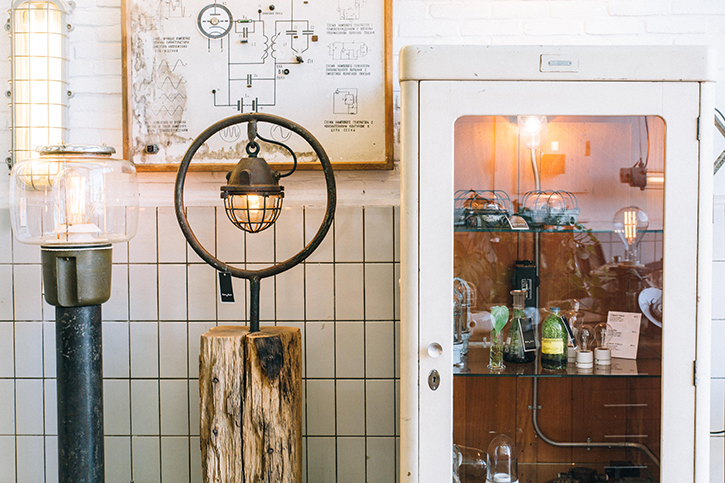 This large functional industrial cabinet with glass door is made out of wood. 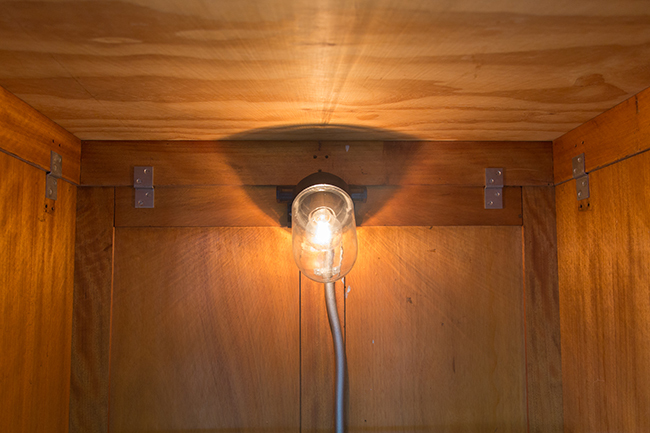 We added a small dimmable light inside with a bakelite base, which provides a warm glow in combination with the wood, and the panes of glass, which function as shelves, creating an elegant look.